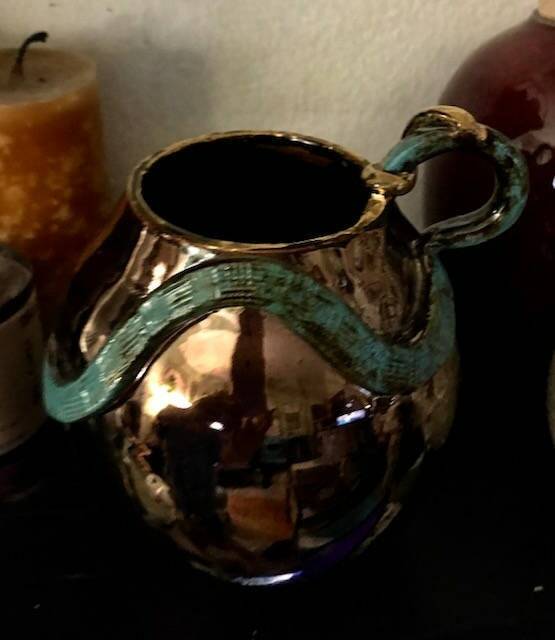 Striking ceramic, stoneware jar with liquid gold and liquid copper glazes. 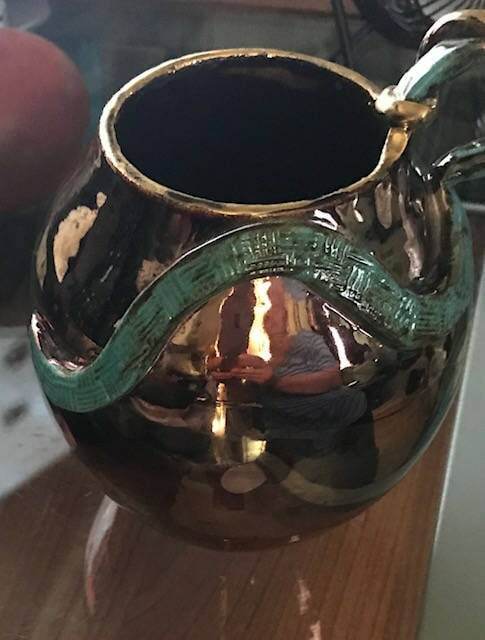 Serpentine turquoise detail. 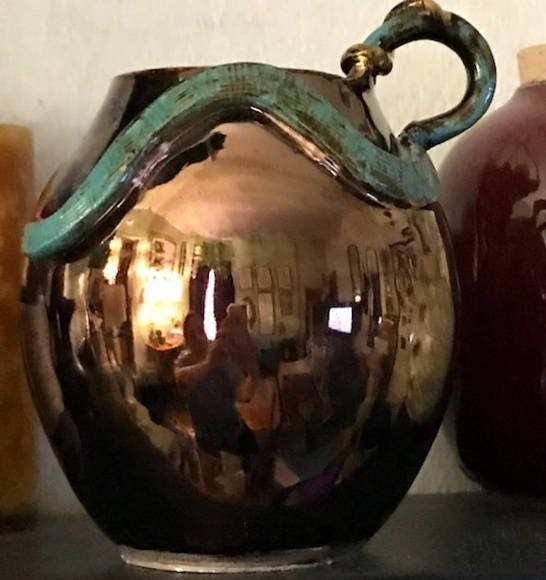 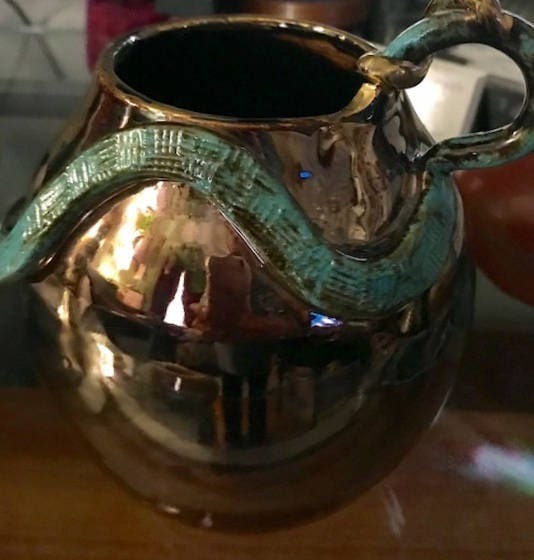 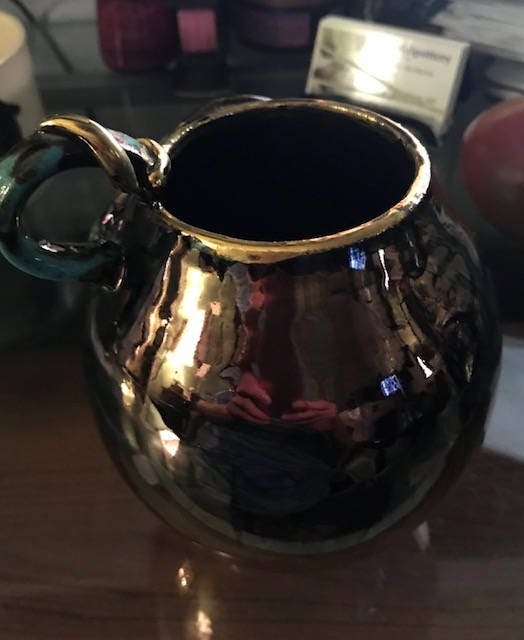 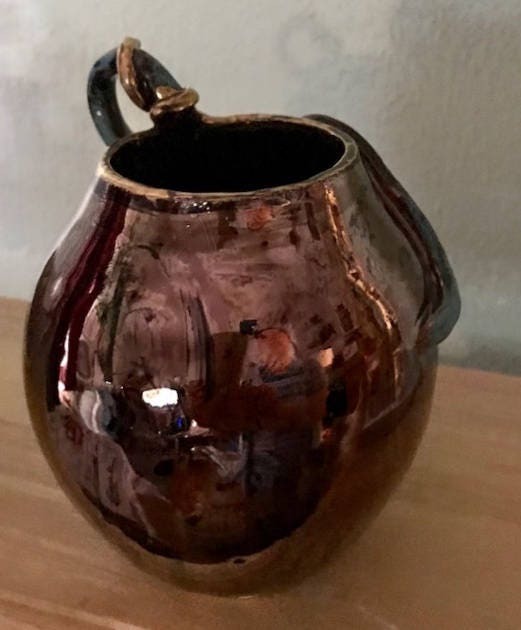 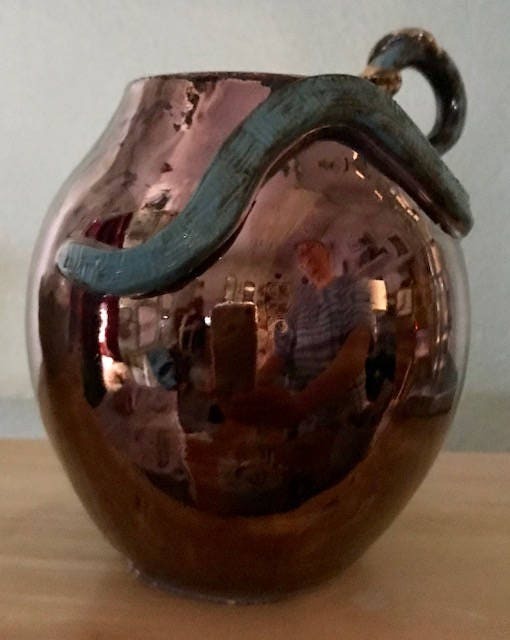 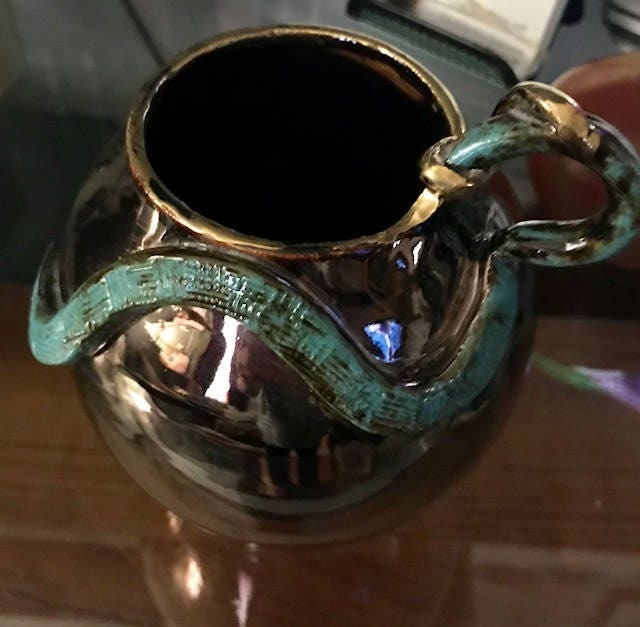 Reflective Surface from the copper overglaze. 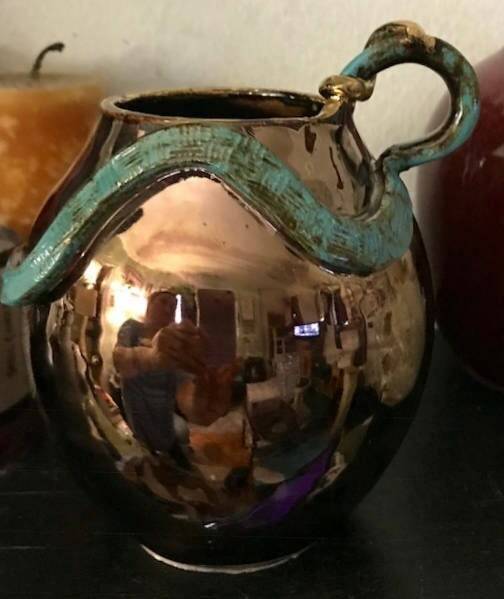 Gorgeous one of a kind piece. 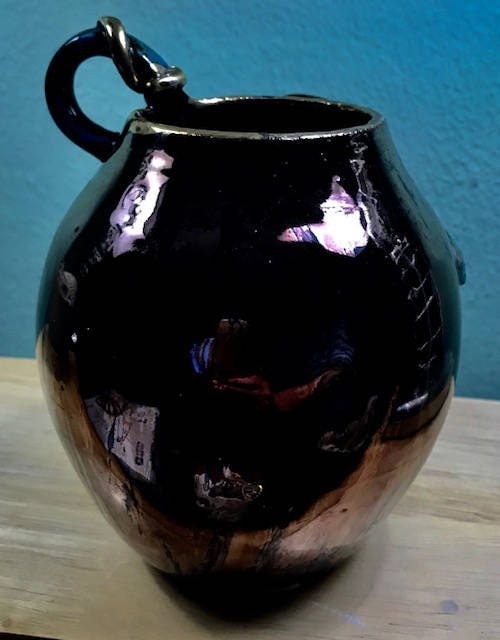 This beautiful Vase or Object of Art will beautify any room.